Private dream getaway on 53 picturesque surveyed acres, of quiet and peaceful waterfront in Northwest Florida. 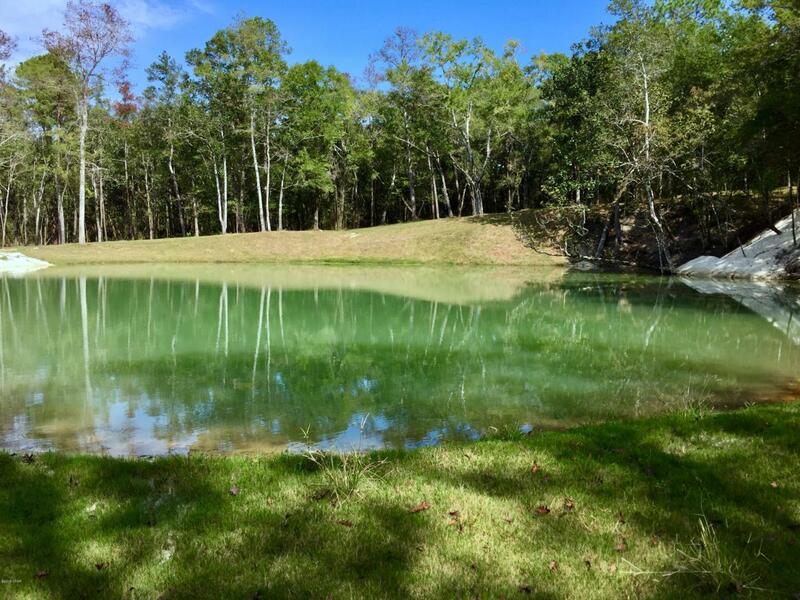 The land features a breathtaking crystal-clear fresh blue water spring that pumps 50 gallons of water a minute, year-round, and also multiple streams that flow into the white sandy creeks throughout the property. Only 10 minutes to the NWF International Airport and about 15 minutes to the beautiful Panama City Beach that includes many day-to-day shopping conveniences at Pier Park, and a short drive to the renowned 30A. This property has the potential to make your dreams for the ultimate Florida retreat come true! The property is undeveloped and could be the perfect blank canvas with opportunities ranging from a Spa retreat, luxury home-sites, RV park or a private oasis.This property offers 1200 feet of road frontage, and over 1,700 feet of river frontage on Choctawhatchee River. Additionally, a dirt landing has been cut into the bank along the river frontage. In the last two years $250,000 was spent improving this property. There are several areas ready for homesites and gardens"including the house of your dreams. Some of the wide varieties of native plant life (shrubs, trees, and ferns) have been noted by enthusiasts and a Herbavex specialist as rare. Wide trails flanked by scrub oaks and beautiful trees for walking, hiking and biking stretch throughout the property. The wildlife on the property includes local birds, as well as large fowl like turkey, pigs and deer. There is a fruit orchard which includes the following varieties: grapefruit, Meyer lemon, blood oranges, tangerine, limequat, kumquat, peach, and crabapple. Additionally, there are three Pecan trees, and an abundance of sparkle berries and muscadines that can be found throughout the entire property. Seller will consider owner financing with acceptable terms.